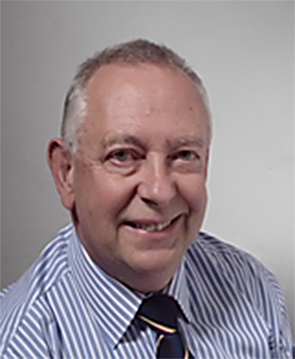 Keith brings with him over thirty years of extensive knowledge and experience in international trade. This, coupled with his business support skills and impressive global contact network, are of vital importance when helping companies to achieve their international goals. Keith also worked for International Business Wales - firstly as an International Trade Advisor before becoming Regional Manager, Europe, Africa and Middle East. He remained in this role until joining Fraser International early in 2011. Earlier in his career, Keith spent 15 years with a US multi-national Pharmaceutical and FMCG company, working his way through the ranks to become International Marketing and Sales Manager with responsibility for 17 countries and building partnerships with blue chip companies including Boots, Smith & Nephew and Revlon. A Chartered Marketer and a member of The Institute of Export, Keith also holds diplomas in Management, Coaching and Mentoring in Management, and Management Leadership, as well as being an accredited Business Advisor. "Keith helped us start exporting and has been there for us whenever we have needed help. I recommend him to any company that needs business advice: our company could not have developed to its current situation without Keith’s valued guidance and expertise." "Keith brings a plethora of knowledge, skills and network connections that will help promote your business in the wider global market." "Keith was instrumental in helping our business grow internationally. His expertise, knowledge and contacts would be of great benefit to any company looking to grow their business."